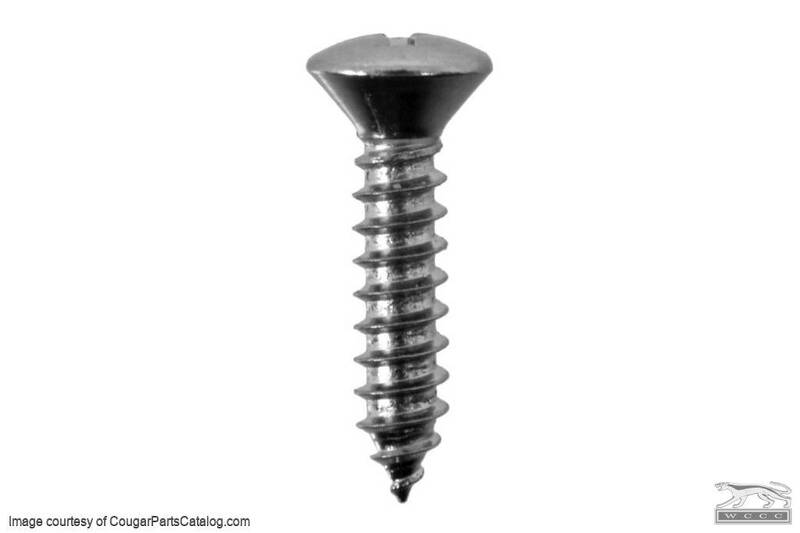 Reproduction Sill Plate Screws (EACH) for the 1967 and 1968 Mercury Cougar. Sold Individually. Chrome plated oval head screw to hold door sill plates in position. 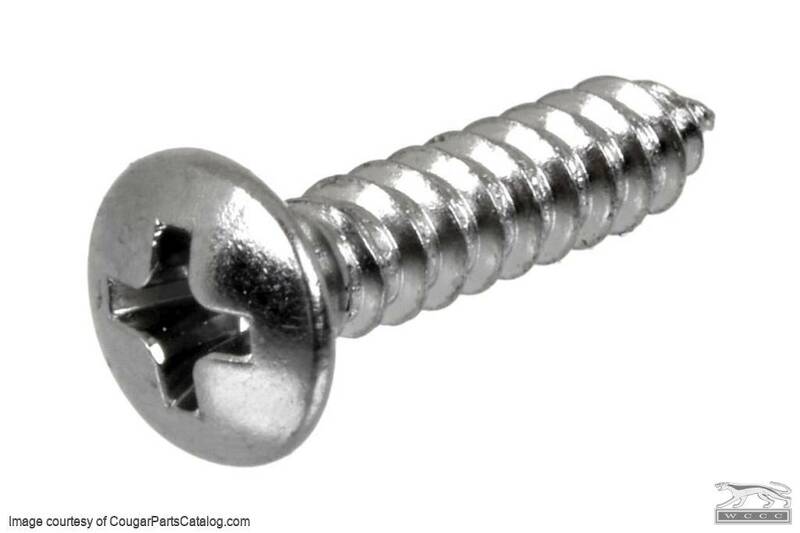 Two sill plates require 18 screws - available as a screw kit - Best value! Replaces Ford Part # 376290.